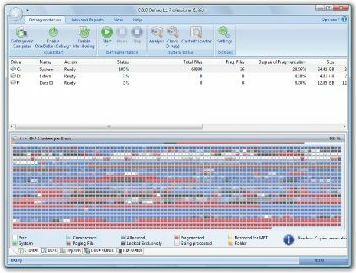 O&O Defrag 11 Professional Edition, from O&O Software, is a powerful defragmentation application designed to optimize your hard disk and effectively, securely packs file fragments back together, featuring background monitoring function that automatically protects your PC against strong fragmentation. O&O Defrag 11 Pro normally costs $49.95 per single computer license. As part of O&O Software promotion, interested users now can get the full version of O&O Defrag 11 Professional Edition for free! Visit the promotional page at http://www.oo-software.com/home/en/special/defragspecial/. 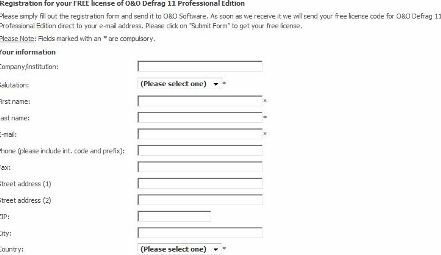 Fill out the registration form to get your free license serial key of O&O Defrag 11 Professional Edition in the registered email. After installed, input your received free license code to unlock the O&O Defrag 11 Pro. O&O Defrag 11 Professional Edition is compatible with Windows Vista, XP and 2000 operating systems.